Taroko Gorge is one of my must go places in Taiwan because it looks extreeeeeeeeemly pretty in photos and videos. Because we are going there, directly from the airport, we couldn’t meet the timing for the package KKDay offers at a relatively low price of S$30 per person. As tour packages start from S$200 per car of maximum 4 pax, which works out to more than S$50 per person. Thus, we decided to just go using public transportation. Contrary to beliefs, public transportation is slow, not worth the money, etc. However, we managed to cover a total of 5 locations, in our 4 hours there. 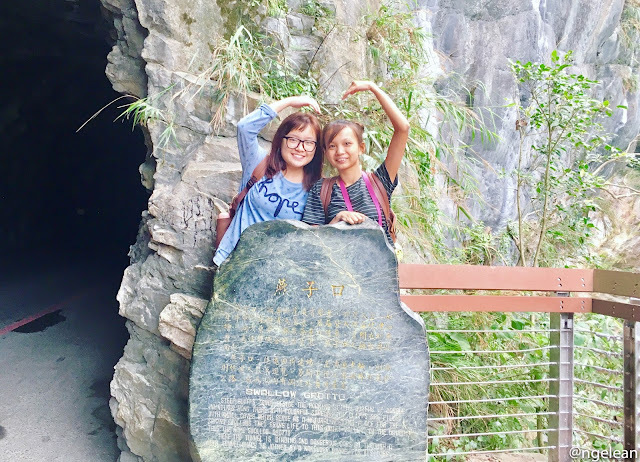 It might not be the best way to truly experience Taroko, but, for 4 hours, and on a budget travel, it is definitely worth it. When we were trying out this route, we actually met with our tourists, like us, who are there to explore the area. And definitely, striking a conversation is simply the best thing ever. The ticket costs NT$250 (S$11.40), for a day worth of unlimited traveling in and out of Taroko is pretty worth it. And there are many buses and services which you can use, as follows. Those highlighted are the buses that we took, in and out of Taroko. Which, sums up to 5 stops in Taroko, and it is more than enough for a short 4 hour trip. The drivers at Hualien station were pestering quoting us NT$2000 (S$90.90) for a 4-hour trip for me and my friend. And literally following us from the station, till we cross the road to drop our luggage. We kinda lied that we are waiting for friends. The drivers ended up communicating in Taiwanese, about us, and as I understand Hokkien, it wasn’t pleasant to hear what they have to say. There are also other buses, which we can take with the unlimited ticket. We actually went to this area near Hualien Station, paid NT$250 for an unlimited ticket, and wait for the bus to bring us into Taroko Gorge. It is on the left when you leave Hualien Station. Panoramic shot, click to view. Initially, we wanted to skip this location, as it is too deep inside, and the ride was really full of turns and very bumpy. However, we totally did not regret just taking the bus all the way in, as this stop is really beautiful. To the extent, we even missed 2 buses, so to explore this stop instead of rushing to other stops. There is a 7-Eleven at that stop. So do not worry about not having enough water / food during the journey. However, do not litter, as the smart monkeys really do know how to get their tea break. We crossed the bridges, to reach to a temple, which gave us amazing view from the top of the temple. The wonderful view of the pagoda that stands out from the wonders of nature. View of the bus stop and food places from the temple. Am literally hanging on the rock with my chest muscles. Another popular spot, especially for trekking. You can literally see people trekking from one end to another, and there was a period of time they will calling like swallows, which kinda caught attention from a some of us. There were also people flying drones to capture the view around. Trekking, unfortunately, requires a permit, to be applied few weeks in advance! As we are more interested in the next stop, we decided not to explore much here, and catch the next bus. Ask and you will receive. We helped tourists to take photos, in exchange for our photos to be taken. This shrine is built to commemorate the 212 workers who died during the construction of the Central Cross-Island Highway. 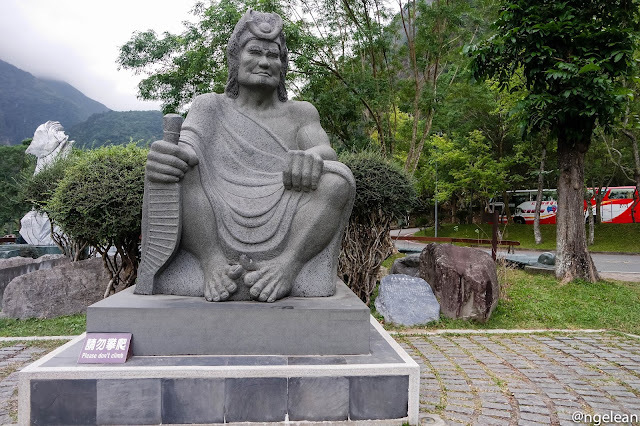 It is actually around a 20-minute walk to the shrine, and behind the shrine, there is actually a 2.2km trail with steep stairs to lead you to Guanyin Cave, Taroko Tower, and Bell Tower. It was actually closed when we were there, due to the recent rain. But even without trekking, the view of the shrine is already very pretty. 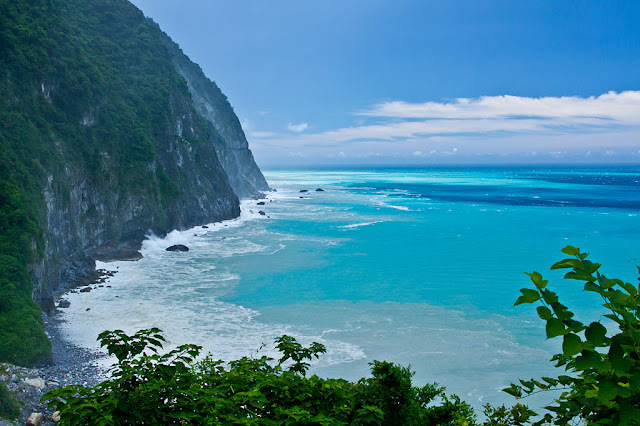 It is one of the most picturesque places in Taroko. The walkway on the left leads you to the shrine. The popular red bridge that leads you to the entrance of the walkway. What red-eyed flight do to you on day 1 of your trip. Deity statues, together with names of the passing. The trail is closed probably due to the recent landslides. The fast water sounds are indeed calming. Because there are so many people at Changchun Shrine, people literally squeeze to board the bus. Anyways, we went to Taroko Visitor Center, to walk to the Taroko Gate, was the driver told us that it is nearer that way. And, we get to visit 2 places, instead of 1. Turn out, it’s really nearer from the visitor center to the gate. Calmness, away from city life. The famous sign of Taroko Gorge Of course, a photo with it. After taking all the shots that we want to take, we walked to the bus stop for #5, to wait for the bus. A random bus came, and instead of going to Hualien Station, we managed to get to the night market, which is our next location on our itinerary. Yes, with the unlimited bus coupon. 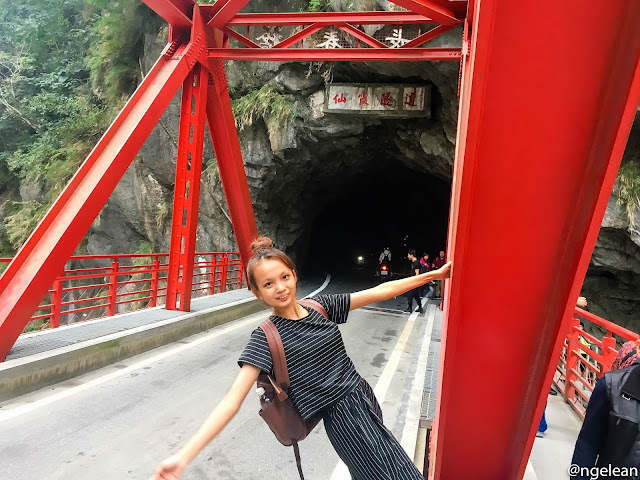 If there is another chance for me to go to Taroko, I will definitely go, and this time, I would definitely love to trek at Changchun Shrine, also, to Cingshuei Cliff and Boluowan. If I can choose, I will still definitely take the bus, instead. However, I will not be able to reach Cingshuei Cliff with the bus. We did a tour bus, I think for 800-900 NT that had around 8 stops including the Cliffs. It was nice because it was our second time to go to Taroko and it made it much easier for us to see more of the sights. Every stop seemed a little bit rushed though. 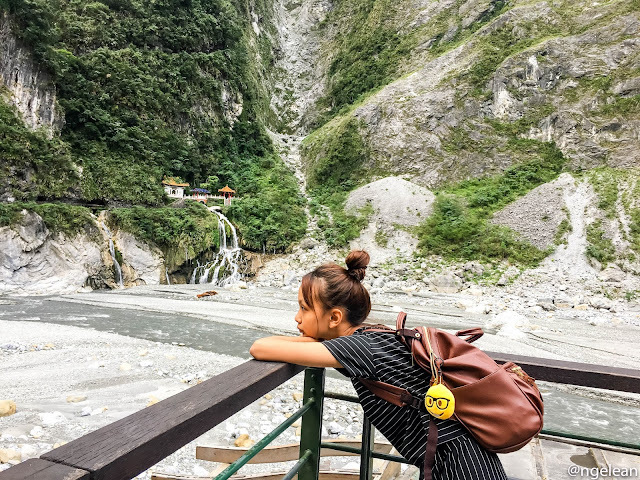 We’re still trying to figure out the best way to get around in Taroko because it always leaves me wanting to see more of it every time we go! The bicycle way (ride a bus all the way up and then bike down) sounded really cool until the Japanese biker just recently got hit by a rock and died doing that. So maybe not. Hello! If you are not tight on budget, there is 2 websites, that offers mini bus for you. If you are travelling solo or in 2s, maybe you can try the tours. In Singapore, we use http://www.klook.com and http://www.kkday.com . They even bring you around, where the public buses can’t. Taroko is really such a beauty, I would definitely want to go back again. The locals actually advised not to ride up and down the mountains, especially as when they are very narrow. And we are also not very familiar with the roads. There are locals who get into accidents too.